CHANGE PLACES CHANGE LIVES TRAINING COURSE IN ESTONIA - Noored Ühiskonna Heaks! 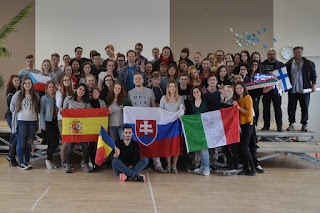 Noored Ühiskonna Heaks (NYH) held a Training Course on Migration called “Change Places Change Lives” which took place from 12th until 19th April 2016 in Taevaskoja, Estonia. “Changing places, changing lives” was a training course designed to explain and develop deeper understanding about migration in nowadays world. Couple of months has shown how big the phenomena actually are and that there’s a big lack of knowledge among youth workers. Migration is a crucial interest to young people whether they come from countries affected by in-migration or those suffering the consequences of emigration. Knowledge of migration processes, the causes and consequences of migration and rights of young migrants are relevant to young people’s needs particularly if they are likely to become migrants or participants of mobility schemes or if their home communities are affected by migration. Competences in addressing migration in youth work are essential for building community cohesion in those countries. European mobility programmes for young people are increasingly available for young people within the EU. 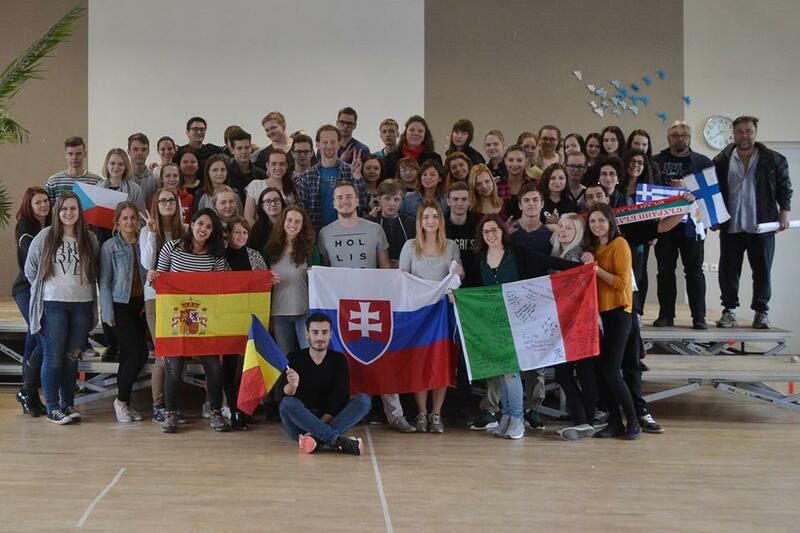 There were participants from Estonia, Italy, Slovakia, Finland, Denmark, Greece, Czech Republic, Spain, Romania, Bulgaria and Germany with all together 27 participants. The Training Course was designed to confront the challenges and opportunities related to migration in Europe. By using different non-formal methods, causes and effects of migration was analyzed. All aspects were supported by the latest findings and developments around migration, pointing to various facets of migration: the main roads, the highways of migration, both in geographical terms and concepts, causes and effects of brain drain, labor migration, study and experience, migration driven by poverty and infringement of fundamental and social rights. Through a structured program of activities, this Training Course aimed to develop methods and resources to work closely with international migration and its causes to local community. “Changing places, changing lives” was a training course for youth leader and workers who want to develop competences in working with migrants and migration topics and “translate” that for young people in a positive and tolerant way. Training course is aimed to youth workers, youth leaders and those involved working with migrants in their daily work.